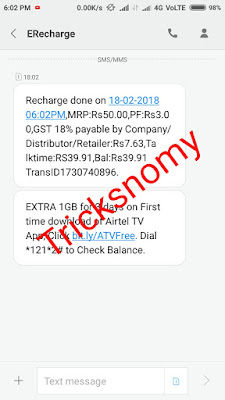 Airtel Victory Zone - After a quite long time here on tricksnomy we are going to post about how to get 50 Rs Recharge in Airtel by just paying 5 Rs. Actually this deal legitimate only for Airtel Users. So other users may ignore this deals. In "Airtel Victory Zone offer" you have to Subscribe for the Daily Quiz Play and Answer for the same to win Free Airtel Recharge of 50 Rs. As Airtel is promoting this Play and Earn Free Recharge by naming it Airtel Victory Zone. So you can also get a chance to earn free recharges and data packs. Every user of Airtel can opt this offer aka deals to win free recharges and data packs. 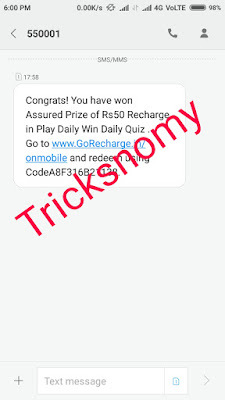 Airtel Victory Zone offer has brought the fresh deals to grab the awesome stuff by Playing in their Quiz called - "PLAY DAILY WIN DAILY"
So far we have known about this Airtel Victory Zone offer of earning Free Recharge of paying 5 Rs to earn the Recharge 50 Rs in Airtel Sim. Now what is the procedure to play this QUIZ and Win more Prizes ? How To Get the Airtel Victory Zone Offer on Airtel ? 2. Now Choose Your Language as Hindi/English etc. 3. It'll Ask To Activate Victory Zone Quiz on Your Number and Press 1. 4. To Confirm Victory Zone Quiz Press 5. 5. Rupees 5 will be deducted from Your Main Balance. 6. Now You Will Get A Question Via SMS Within 30 Minutes. 7. Reply With Correct Answer By Choosing Your Answer as A or B. 8. Done, You Will Get A Redeem Code Via SMS. 10. Enter Your Airtel Mobile Number & Select Your Operator as Airtel. 11. 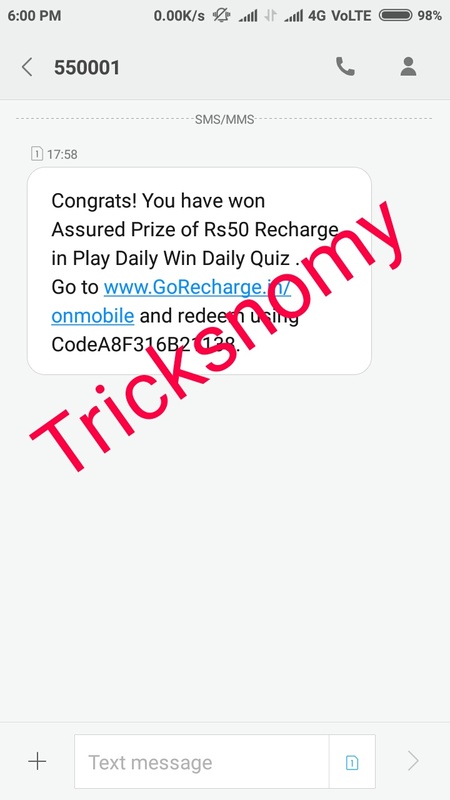 You Will Get Instant Recharge Of Rs 50 on Your Number. 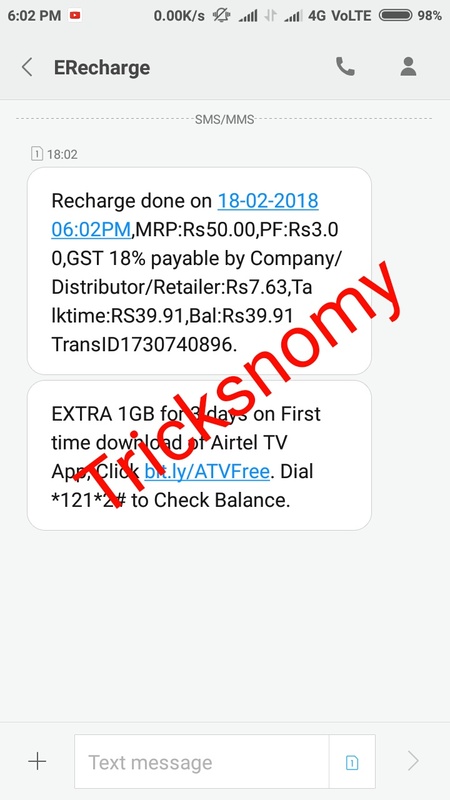 So this was the post about how you can get 50 Rs recharge in Airtel via using Airtel Victory Zone offer by just paying 5 Rs. Just follow the steps carefully and get this offer ASAP. As the message, that is containing the Coupon code is arriving bit late so bear with that..